Perfume brand Union launched with four fragrances in 2012. Their concept is to produce fragrances using raw materials from across the British Isles. For example, there is violet leaf from Devon, England, wild thyme from Snowdonia, Wales, bracken from the Scottish Borders and moss from Ireland. 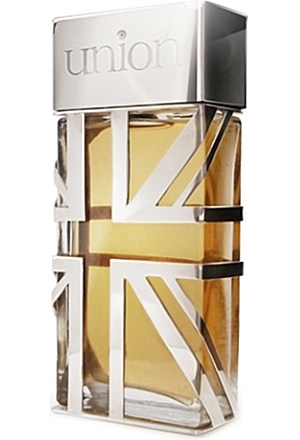 The collection is meant to be “an olfactory celebration of the British countryside”. Apparently a lot of time and effort went into sourcing the necessary ingredients. On trying the first four perfumes, it’s clear that perfumer Anastasia Brozler has created a small collection of modern, distinctive and well crafted fragrances. While they do contain a significant amount of naturals, they also include some synthetics in order to give them “lift”. They are labelled as EDTs but the lasting power is extremely good. Notes: Thistle, heather, bay, bracken and pine resin. Holy Thistle is an aromatic green fragrance with a zingy facet. It’s like a denser, and darker version of Trefle Pur by Atelier Cologne. Unlike some green fragrances, it’s not too bitter, soapy or reminiscent of pine air freshener. I find it the least interesting of the four, but it really does reflect the unkempt landscape of the Scottish Highlands. It’s definitely the prickly greenery of thistles and bracken rather than the lush greenery of grass and leaves. Worth checking out if you’re a dedicated Green Fiend. This one really packs a punch. It succeeds well at replicating the aroma of a peat fire on a misty autumn morning. Putting Marmite in the notes list was a clever idea. This polarising savoury spread is one of those foodstuffs that ex-pats miss when they emigrate. I can’t pick it out of the mix except for a noticeable saltiness. Smoky and earthy, it’s a must for fans of hefty birch tar leathers such as Patchouli 24 by Le Labo or smouldering fragrances such as CB I Hate Perfumes, Burning Leaves. Notes: Bluebell, narcissus, hyacinth, violet leaf, ground ivy, willow bark, oak bark, oakmoss and musk. This is a clever one. Far from being a wan floral, it has surprising depth. One sniff of the deep amber liquid brings a whole bluebell wood to life. It’s the scent of delicate spring flowers growing in the shadow of tall trees. It has the same tension between light and shade as Perle de Mousse by Ann Gerard. This makes Gothic Bluebell the most intriguing of the four. It’s the perfect perfume to wear while reading Emily Brontë’s darkly romantic novel Wuthering Heights. Notes: Quince, juniper berries, garden mint, thyme, sage, watercress, lime leaves, rhubarb leaf, moss, mountain ash and oak bark. It’s good to come across a perfume with a unique starring note. Quince, Mint & Moss opens quite strong and tart, giving it a bracing edge. It makes for a pleasantly refreshing wake-up call. I’m not much of a fan of mint in perfume but along with the other green notes, it provides a nice herbaceous backdrop to the bright, zesty, quince. It’s the sort of thing that probably wouldn’t feel out of place in the new Jo Loves fragrance line. Notes: Rose, charcoal, sulphur, lovage, meadowsweet, blackcurrant, violet leaf, oakmoss and oak bark. Union perfumes are available at Selfridges in London and Henri Bendel in New York, currently priced at £125/$185 for a 100ml EDT. Henri Bendel also offer a Roller Ball Miniature Set of the original four fragrances for $75. What do you think of the Union concept? Do any of them appeal to you? This entry was posted in By Tara, Fragrance Reviews, Union Perfumes and tagged Anastasia Brozler, British Isles, Fragrance, Perfume, Review, Union. Bookmark the permalink. This is one of the “bottle” examples. 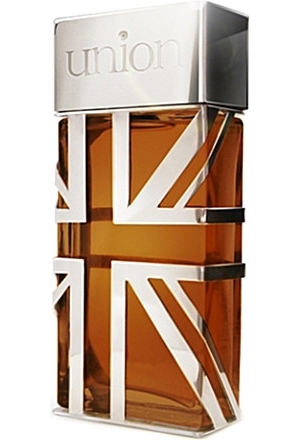 I will definitley buy this one just because of the bottle and I know I will love the perfume too, or at least grow into it,because of the neat and clear design. The bottles are striking although I was put off at first because the Union Jack is slapped on so many tacky touristy products in the UK. I ‘ve read that the metal detailing makes them quite hefty so presumably they’re good quality. Hope you like the perfume too! I was a-wondering about these. Thank you for the round-up. That’s handy, Jordan! Hope the round-up was helpful. Hi Tara – do you know if there’s a sample set available? Their website (unionfragrance.com) still seems to be under construction but there is a Contact Us option so it might be worth dropping them a line. Otherwise Surrender to Chance and The Perfumed Court sell samples. Thanks for introducing me to “Locavore”, meaning someone who eats local food. I know a lot of people are concerned about food miles but didn’t know there was a name for them. It is nice that someone has tried to capture the scents of the British Isles while using local materials. When you read about, you learn it wasn’t an easy process. I love juniper. Can’t believe I haven’t got round to trying Penhaligon’s Juniper Sling yet. It would be perfect for summer. I really enjoyed Celtic Fire, Tara, and was hoping to come to the UK last month and purchase it because those bottles are INCREDIBLE!! Unfortunately time ran out and I’ll have to do it next year but I am LEMMING LIKE CRAZY for the Gunpowder Rose, what a name! Too bad you didn’t have time for the UK on your trip but you sure did pack a lot in! Gunpowder Rose is a great name. I presume it’s partly a reference to the Gunpowder Plot/Guy Fawkes Night. I had a feeling someone else did a burning rose perfume but couldn’t remember who. Yes, this year has been busy. now home to enjoy the spoils of far flung travels. It will take me a year to sniff all the samples, open all the bottles and write some stories about them. If you remember that other burning rose please tell me, I’m totally intrigued. Well you have a year full of happy sniffing ahead of you and we will get the benefit of all those stories. I tried googling the burning rose to no avail. I’ll let you know if I work it out – starting to think I imagined it though. Thanks for trying to help me out B! I think it probably was a JHAG association. I remember reading Portia’s passionate review of Celtic Fire – and now it’s lovely to get your impressions of the line, Tara. I take it Gothic Bluebell was your favorite? Great name for a fragrance! Ha! Those Lear nonsense poems really get in your head. The line that kept repeating for me was “In a beautiful pea-green boat”. Gothic Bluebell is the stand-out because it’s so very interesting. I like Quince, Mint & Moss too though and it’s probably more wearable for me. Ah, I bet it does too! That’s a nice association. I got decants of Celtic Fire and Gunpowder Rose from the Perfumed Court. I love Celtic Fire. It even got a thumbs up from my partner! I am hoarding my 1mL and will probably have to invest in a bit more of it. On the other hand, I found Gunpowder Rose very disappointing. On my skin, there is no “gun” only “powder” and it is a not-at-all memorable powdery rose that loses the rose pretty fast. Thanks for the feedback on your decants, missionista. I can imagine Celtic Fire getting pretty addictive if it works for you. Too bad about Gunpowder Rose not properly living up to its great name. That does sound disappointing. Thanks for this very clear and evocative round up – I am now intrigued by Gothic Bluebell (props for the name alone!) and the one with Marmite – just because… Can’t say I am a green fiend and Trefle Pur is well green enough for me. I do agree that putting quince in a perfume also deserves brownie points. I remember quince jelly as being rather subtle and pleasant. All in all I love the inspiration for these and hope I might like one or two when I am next in Selfridges! I think they have to be applauded for not taking the easy way out and giving them a bit of an edge. It’s nice to have a modern, very British brand compared to the usual old-fashioned ones. I suspect Celtic Fire might a bit much for you but it’s worth a sniff. You may well like Gothic Bluebell and it is a great name! Hm, I love Wuthering Heights (not just by Emily Bronte, but by Kate Bush as well 🙂 . i’m a Bronte fan too (Jane Eyre is my favourite). I think you’d prefer Quince, Mint & Moss to Gothic Bluebell though. The bottles seem to be very popular. Thank you for the round-up, Tara! I read about these perfumes’ release last year but I haven’t had a chance to try them yet. I like the idea and the bottles (though I think they should do 30 ml bottles in that style as well). I agree, doing 30ml bottles as well would be a real bonus. They’d be cuter too. It’s Anastasia Brozler. Sorry to be pedantic, but that jumped out at me straight away. I’m grateful to you for pointing this out. It’s important to get the perfumer’s name right! I see Birgit has kindly corrected it. Gothic bluebell sounds very interesting… I hope I can buy a sample soon, luckily I will fly to NY i september and Bendel is on my list..
Gothic Bluebell really is interesting because it has that contrast between the innocent spring flowers and the dark woods. Enjoy your trip to NY when you go in September – wish it was me!